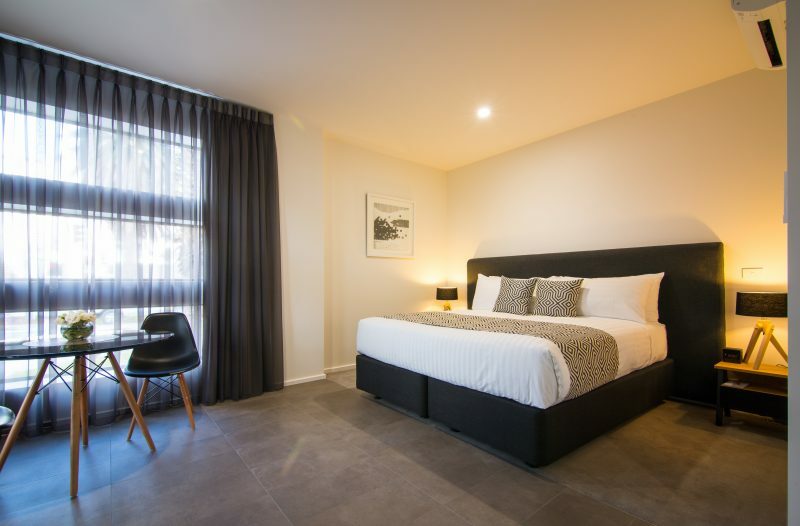 Quality Hotel Mildura Grand is superbly located in the heart of Mildura’s shopping and dining precinct, just a short stroll from the Murray River. 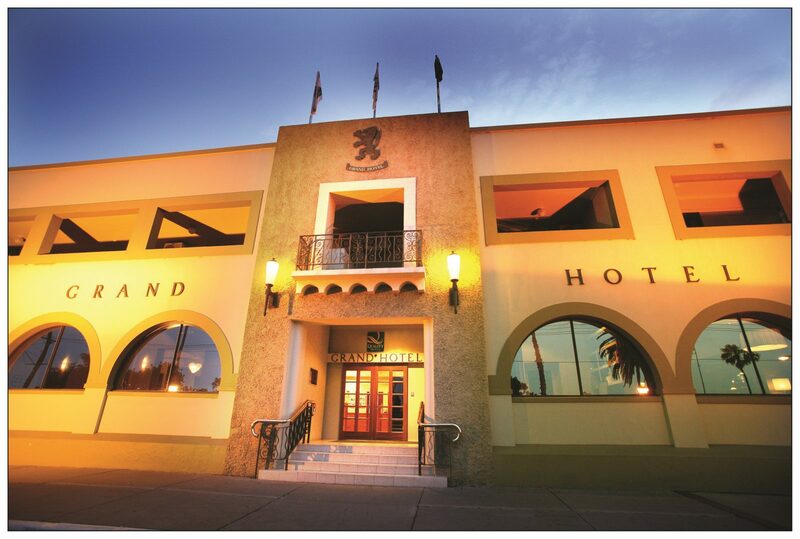 The historic, landmark Quality Hotel Mildura Grand offers character and charm with modern amenities and comforts. Facilities include a choice of spacious guest rooms and suites, lavish art deco function and conference rooms, a picturesque rose garden and courtyard for relaxation and entertainment, an outdoor pool and gymnasium. Off-street parking is available directly opposite the hotel. 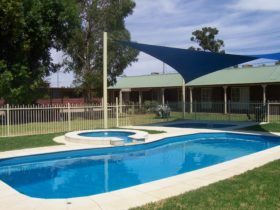 With 99 comfortably appointed rooms, the Mildura Grand caters for every guest need and budget. 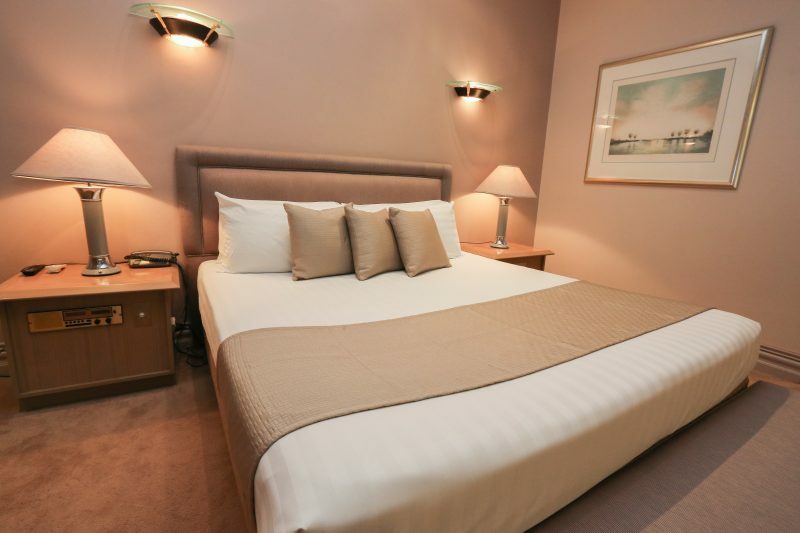 All rooms are amply equipped with modern furniture, quality drapery and dressed with premium linen. Complimentary high speed WiFi and current release movie channels are provided. The refurbished Superior Suites and Quality Rooms contain queen-size beds, 68 centimetre flat screen televisions and iPod docks. 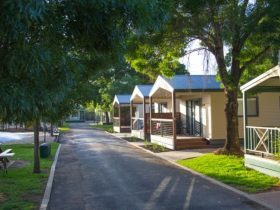 Accommodation is climate controlled with split system air-conditioning/heating units. 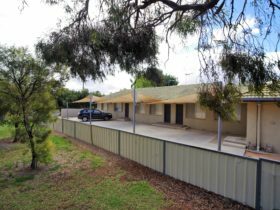 Make sure your next stay or event in Mildura is grand, where modern facilities meet traditional service in comfortable surrounds at Quality Hotel Mildura Grand. The brand new Executive Room, located by the hotel’s attractive pool area, is designed for comfort and style with modern decor featuring original artworks, contemporary furnishings, slate tile flooring, premium king size bedding and state-of-the-art media system. 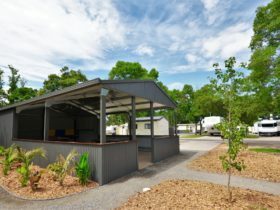 Amenities include a microwave, kitchenette and dining space for light meals and snacks. The Spacious Superior View One Bedroom specialty suites have a separate master bedroom and two person spa bath. 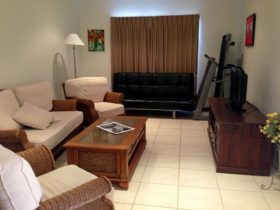 All have sitting areas with lounge leading to a balcony with picturesque views. Furnished with queen size bed, flat screen televisions, iPod docks and minbar. The Superior View Spa Suites are fully refurbished room with picturesque views of the Garden or Pool area. Spacious bathrooms have shower and 2 person spa. 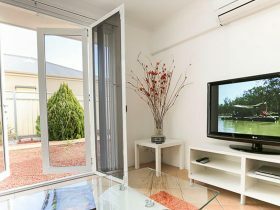 Furnished with Queen bed, Flat screen TV and IPOD dock and Minibar.